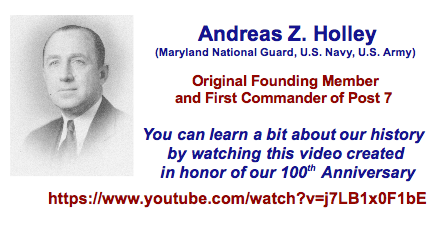 To see the Youtube history video, click here. You do not have to have a facebook page to visit our page. It is public and open to all! Sunday, April 7 beginning at 8:30. 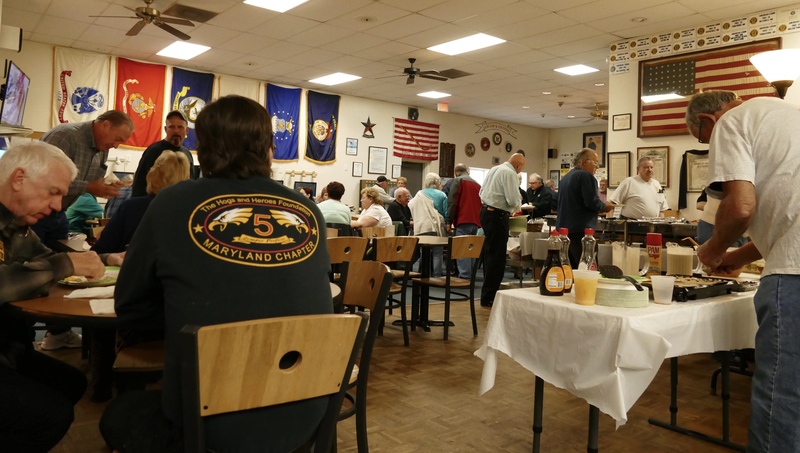 Start your day with a great breakfast! And then come back again on May 12 for Mother's Day! CAKES NEEDED! - and you delivered. Thank you to all who donated! Only about 100 tickets left. Last year was a sell-out! Tickets available at Post 7. 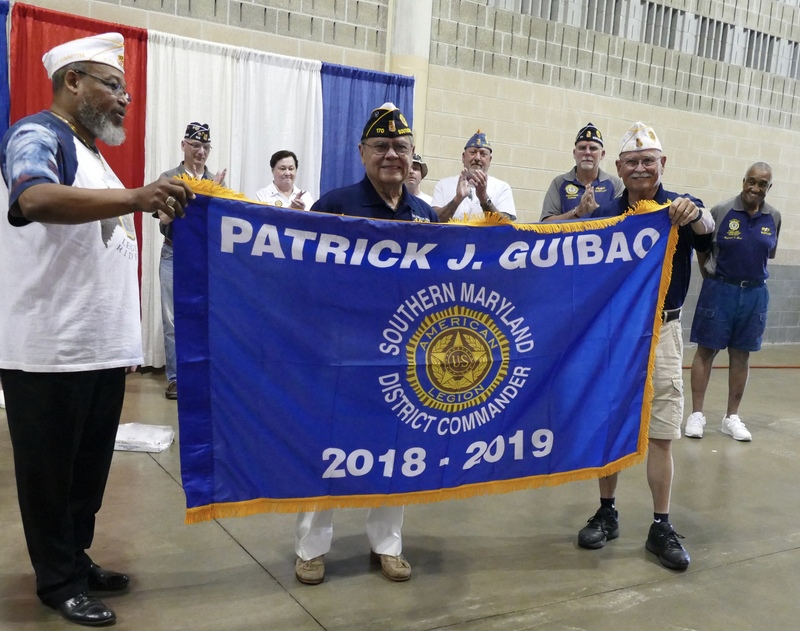 American Legion Southern Maryland District Commander for 2018-2019! A huge thank you to all our special volunteers from the American Heritage Girls. What a great job they did helping us with our Spring yard clean-up! Photos from the Spring clean-up are on our Facebook page. It's time to join Post 7! Do you want to know if you qualify for membership? Click here. Do you want to join? It's easy! For a membership application, Click here! 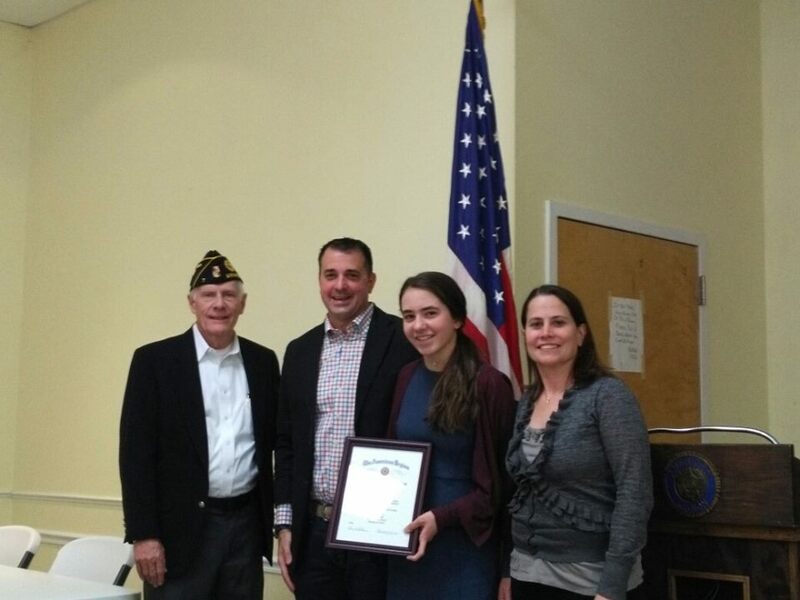 for her outstanding performance in the American Legion High School Oratory Contest. at 11:00 AM on February 10. OUR ANNUAL CRAB FEAST WAS A HUGE SUCCESS! HOPE YOU WERE ONE OF THE ONES WHO WERE ABLE TO JOIN US! IF NOT THIS YEAR, MAYBE WE'LL SEE YOU NEXT YEAR! Pictures from the days activities can be seen on Facebook, by clicking here. 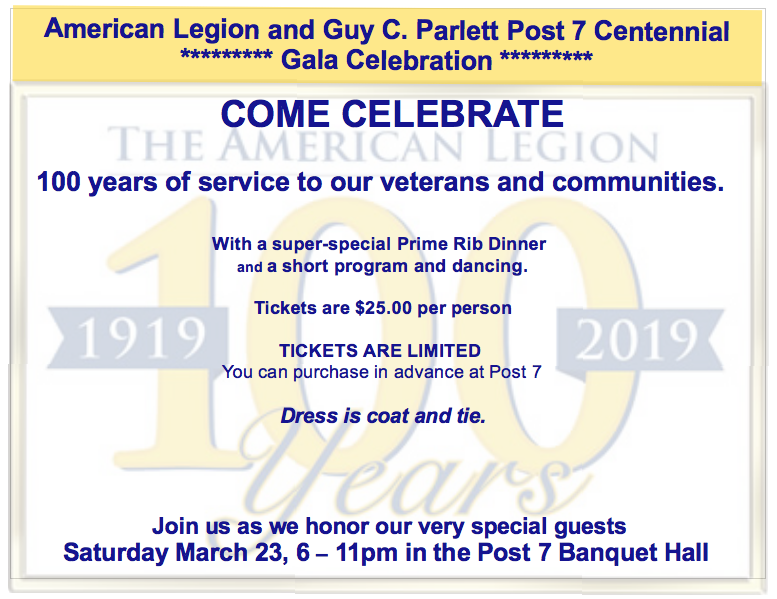 We are sending out a huge "thank you" to all those members of the Post 7's S.A.L. 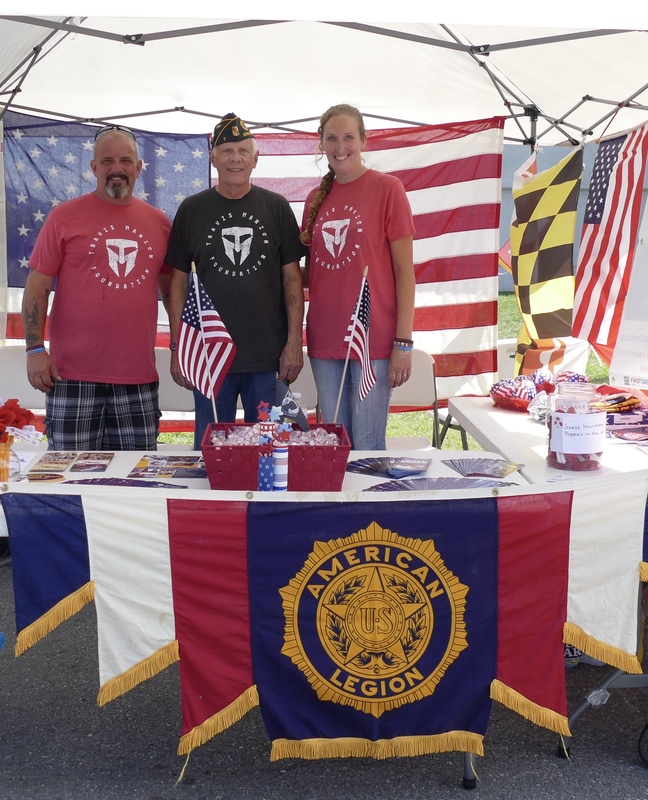 and Legion who stepped up and joined with the women of our Auxiliary to support the Travis Manion Foundation's Annapolis 9/11 Heroes Run on September 10th and 17th! The Post could not have been more proudly represented. What a great family effort! 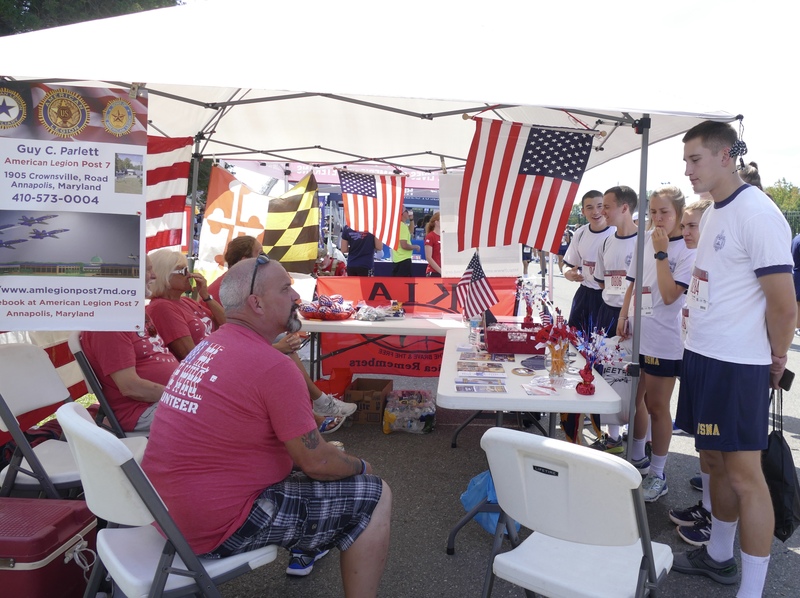 It was a fantastic and rewarding community event in honor of our military and first responders. We would love to have even more family join in on the next "big adventure!" Have you seen the new fence? 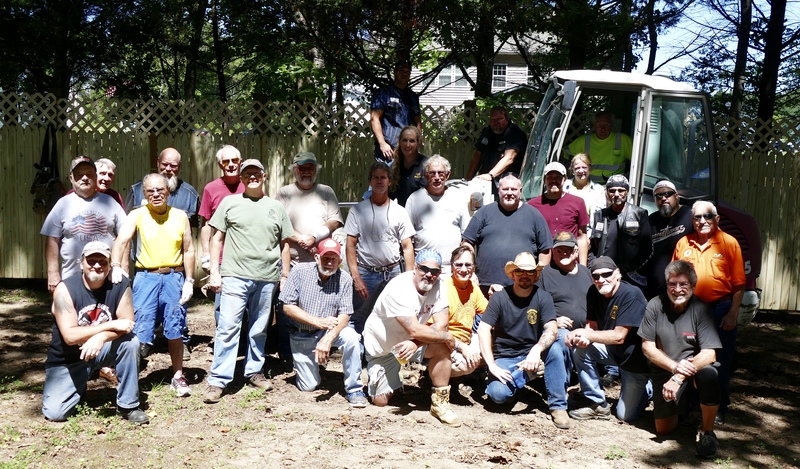 An enormous "thank you" to all the wonderful people who came out to make a stunningly quick job of tearing down the old and putting up our fabulous new fence! 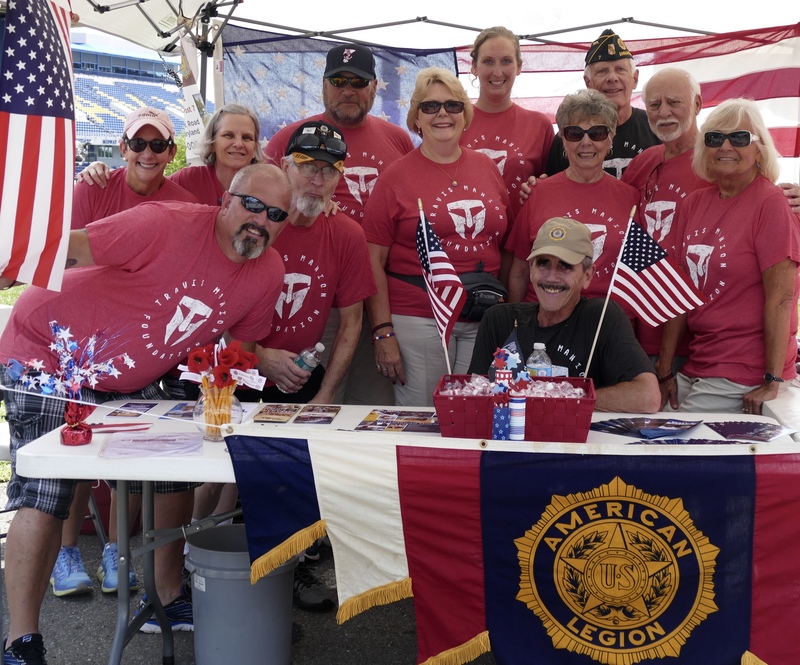 A super special salute to our friends from Hogs and Heroes, The Chosen Sons, Road Warriors, and Post 175 for joinig the Post 7 Legion, Auxiliary, and SAL and giving your time and energy so generously. 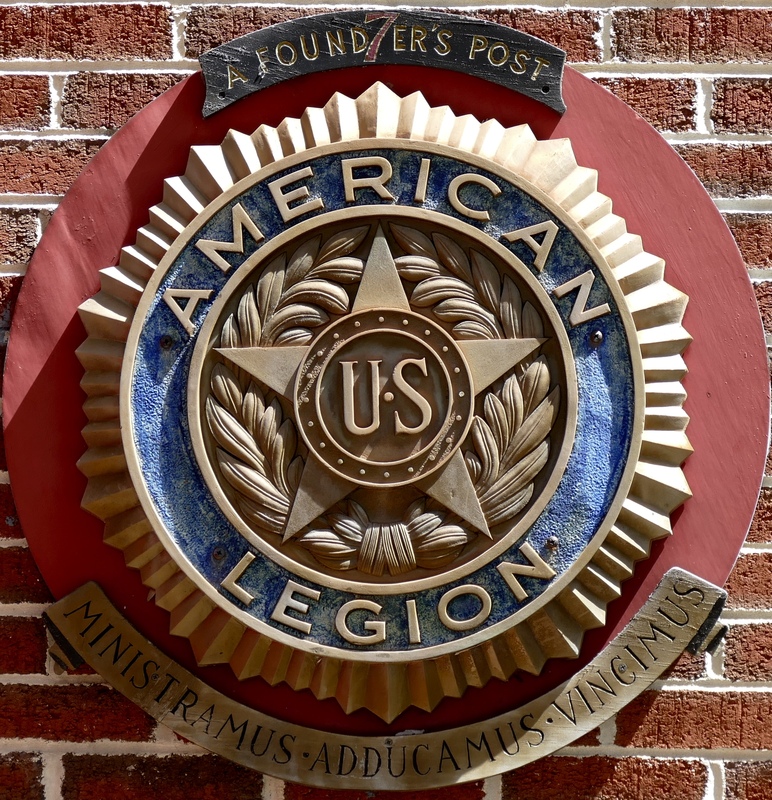 Since its charter in 1919, American Legion Post 7 has been continually welcoming VETERANS and current military personnel from all branches of our Armed Forces. 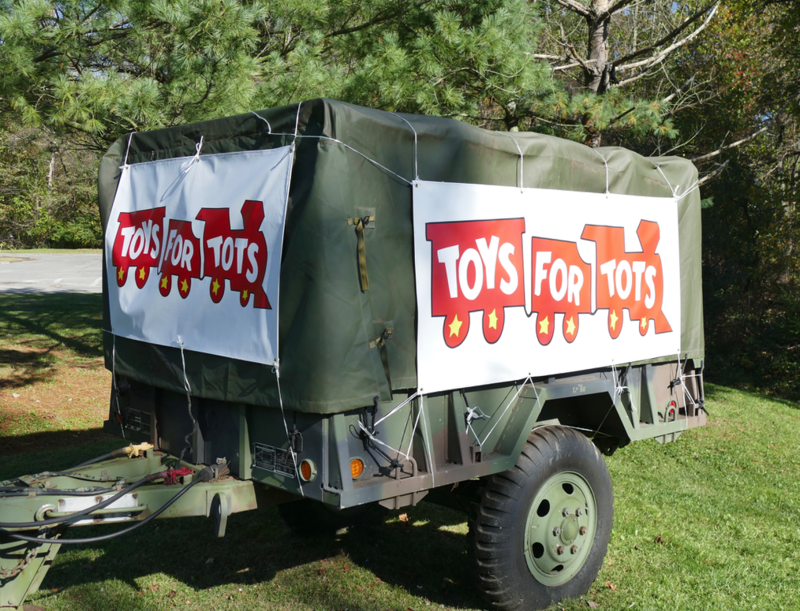 By joining our Post, you are able to continue serving your Community and Country as embodied in our mission. 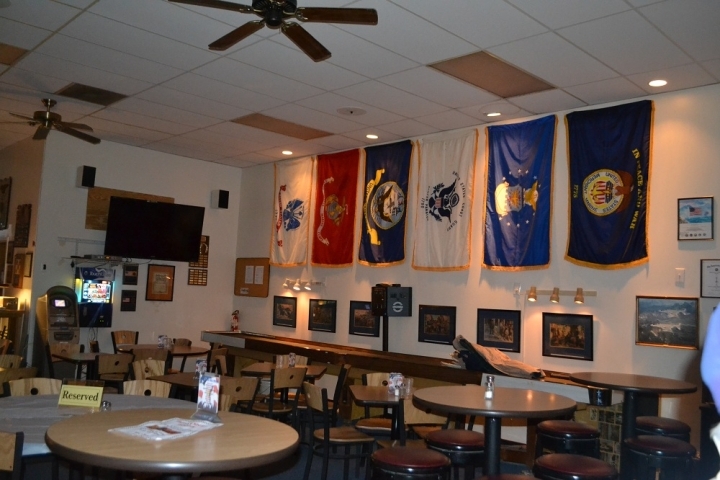 Post 7 Members Monthly Meetings are held the 1st Tuesday at 7:30 pm. 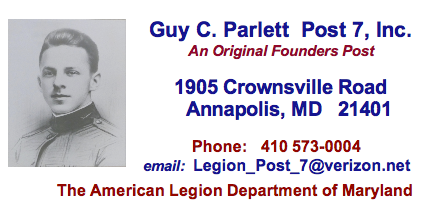 Post 7 SAL Monthly Meetings are held on the 1st Monday at 7:30 pm. 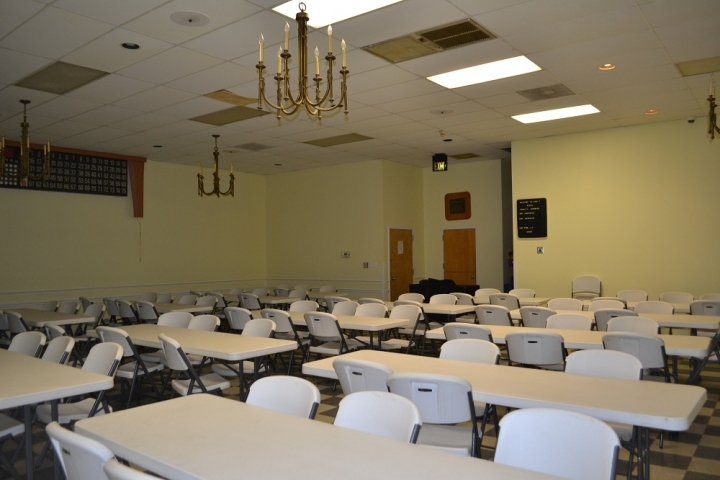 Post 7 Auxiliary meetings are held on the 3rd Tuesday at 7:00 pm. 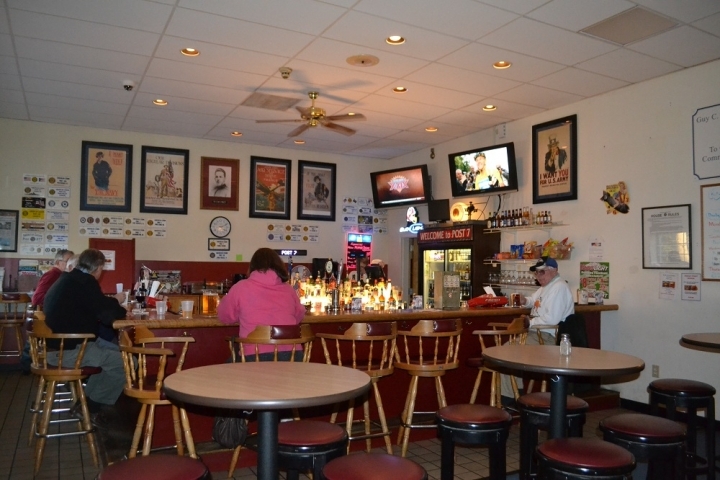 Lounge restaurant and bar menus and hours. 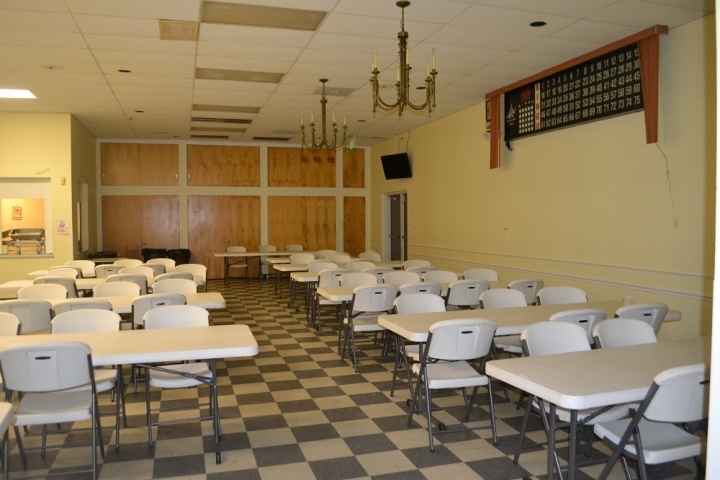 ​Bingo - held every Sunday from 1- 4 pm and Thursday 7-10 pm in the Legion Hall. 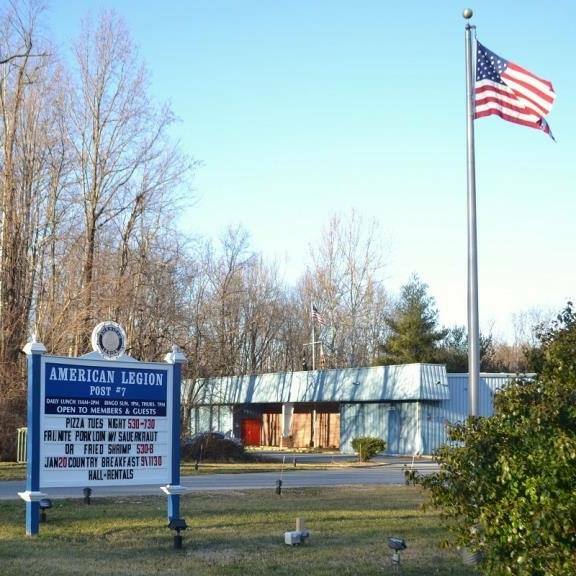 give aid and assistance to our local needy Veterans and their families. 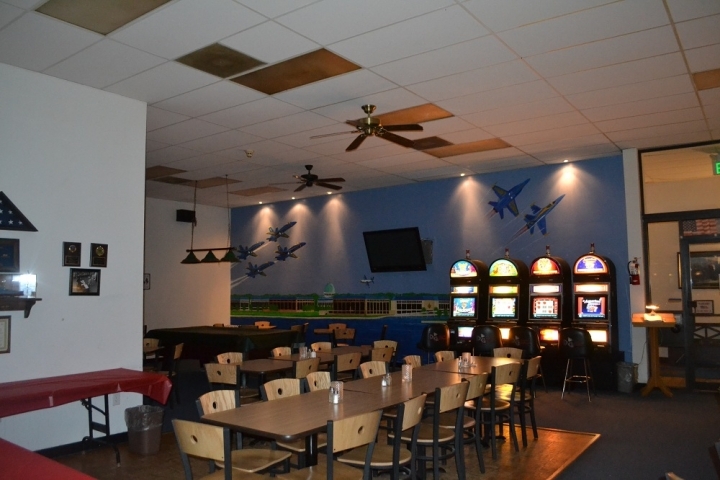 support financially worthy community programs and projects. 100% of these fund raised are given back to the community. (see Sponsor or Booster tab for details).